Does it really matter when theory is introduced? Do students wonder why they need to do theory exams? In answering these questions with your students... there are three very important things to think about when preparing for RCM exams. I remember teaching my very first student in preparing for RCM Exams. I was really nervous and I wanted my student to be fully prepared. We talked about 3 important factors in preparing for an exam. First - PURPOSE - What is the purpose of doing an exam? Goal Setting - Greatest motivation for achievement. Accountability – Goal setting without accountability results in good intentions. Knowledge - When we set a goal, such as doing an exam, we are more likely to be committed to working towards our desired outcome and achieving our goal – acquiring knowledge. The Ultimate Music Theory Series helps students prepare for nationally recognized theory examinations including The Royal Conservatory of Music and The Royal Conservatory Music Development Program. In school, we learn to read AND write – we don’t just learn to read. In music, we need to learn how to read AND write too – “reading” is the practical aspect of music (reading music) and “writing” is the theoretical aspect of music (written theory). 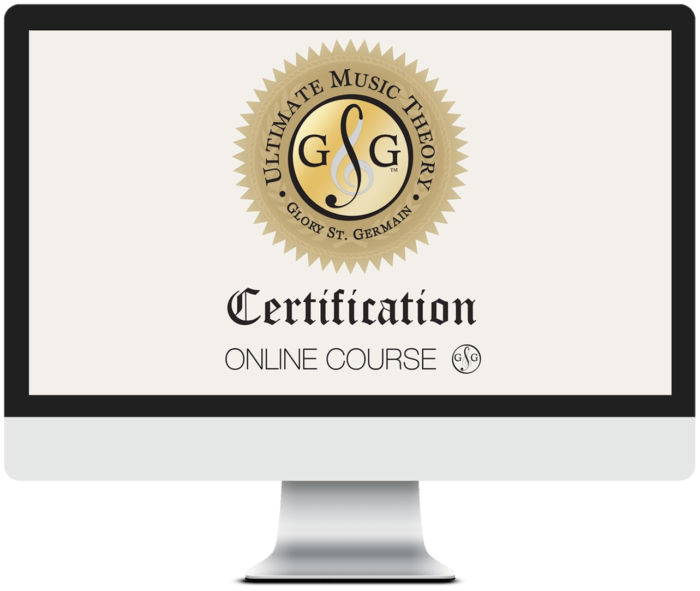 Use the Ultimate Music Theory Exam Series to help students prepare for RCM Exams. Basic Rudiments Theory is a co-requisite for a Grade/Level 5 Practical Examination. Intermediate Rudiments Theory is a co-requisite for a Grade 6/Level Practical Examination. Advanced Rudiments Theory is a co-requisite for Grades/Levels 7, 8, 9 and 10 Practical Examinations. Which RCM exams should be completed first & why it matters. In order to receive a Practical Examination Certificate, students must complete the Theory Co-Requisite within 5 years of completing the Practical RCM Exams. However, there is no time limit applied to taking a theory exam in advance of its Co-Requisite Practical Exam. Second - PLEASURE - What pleasure can learning music theory bring us? At Ultimate Music Theory, we believe in creating a foundation for success. We are often asked when a student should begin theory. Our answer – immediately! The Ultimate Music Theory Prep 1 Rudiments Workbook and Answer Book works with and supports all method books. Each Workbook includes 80 FREE Flashcards, Music Theory Guide and Chart. These are ALL concepts that are covered in the Ultimate Music Theory Prep 1 Rudiments Workbook. Upon completion of the Prep 1 Rudiments Workbook, students are ready to continue with the Prep 2 Rudiments Workbook. Both Prep 1 and Prep 2 Workbooks should be completed before beginning preparation for the RCM Preparatory Rudiments Exam. A student who is preparing for a Preparatory B and Grade 1 Piano Examination is also required to play Scales and Triads. These requirements are taught in the Ultimate Music Theory Prep 2 Rudiments Workbook. In the current Syllabi, the Preparatory Rudiments Theory Examination is not a co-requisite for completion of a Practical Examination. Both Prep 1 Rudiments and Prep 2 Rudiments must be completed in preparation for the Preparatory Rudiments Theory Examination. In order to understand all areas of a practical examination (Repertoire, Ear Training, Sight Reading and Technical Requirements), and have a strong Theory Foundation, we recommend that a Student does not wait until entering Grade 5 Piano before starting Theory. A student who is preparing for a Grade 1 or Grade 2 Piano Examination will be more successful when they are also in the Basic Rudiments Theory Workbook. Since students are expected to identify intervals in the Ear Training portion of their Practical Examination, learning what intervals are as part of the Ultimate Music Theory Basic Rudiments Workbook will support success in Ear Training. Students in Grade 3 and Grade 4 Piano are learning music in Simple and Compound Time, which is introduced in Intermediate Rudiments. Having the theoretic knowledge of complex rhythms in Simple and Compound Time will support success in playing, Ear Training and Sight Reading. By Grade 5 or Grade 6 Piano, students need to understand the Theory Concepts in Advanced Rudiments. Cadences, Modes, Dominant 7th Chords and Diminished 7th Chords are all part of the Repertoire at this level. When a student is able to analyze their music using their theory skills, they will be able to learn it faster, understand it better and memorize it more easily. Third - PERFORMANCE - How can learning music theory improve our Performance? When we are passionate about the success of our students and share the purpose, pleasure and performance benefits of completing RCM Exams - they will see the Way to Score Success! Download the Ultimate Music Theory Comparison Chart - a quick reference that outlines the progression of concepts covered in each level of the Ultimate Music Theory Workbook Series and the Ultimate Music Theory Exam Series. P.S. Join the conversation - Enter your comment or questions on RCM Exams and Theory Co-Requisites below.